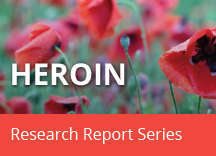 Home » Publications » Research Reports » Heroin » What are the long-term effects of heroin use? Repeated heroin use changes the physical structure13 and physiology of the brain, creating long-term imbalances in neuronal and hormonal systems that are not easily reversed.14,15 Studies have shown some deterioration of the brain’s white matter due to heroin use, which may affect decision-making abilities, the ability to regulate behavior, and responses to stressful situations.16-18 Heroin also produces profound degrees of tolerance and physical dependence. 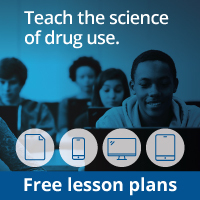 Tolerance occurs when more and more of the drug is required to achieve the same effects. With physical dependence, the body adapts to the presence of the drug, and withdrawal symptoms occur if use is reduced abruptly. Withdrawal may occur within a few hours after the last time the drug is taken. Symptoms of withdrawal include restlessness, muscle and bone pain, insomnia, diarrhea, vomiting, cold flashes with goose bumps ("cold turkey"), and leg movements. Major withdrawal symptoms peak between 24–48 hours after the last dose of heroin and subside after about a week. However, some people have shown persistent withdrawal signs for many months. Finally, repeated heroin use often results in heroin use disorder—a chronic relapsing disease that goes beyond physical dependence and is characterized by uncontrollable drug-seeking, no matter the consequences.19 Heroin is extremely addictive no matter how it is administered, although routes of administration that allow it to reach the brain the fastest (i.e., injection and smoking) increase the risk of developing heroin use disorder. Once a person has heroin use disorder, seeking and using the drug becomes their primary purpose in life.